^ "Chickahominy". ProtectedPlanet. United Nations Environment Programme's World Conservation Monitoring Centre. Retrieved January 2, 2017. ^ a b "Chickahominy". Virginia Department of Game and Inland Fisheries. Retrieved January 2, 2017. ^ "Access Permit". Virginia Department of Game and Inland Fisheries. Retrieved January 2, 2017. This article related to a protected area in Virginia is a stub. You can help Wikipedia by expanding it. 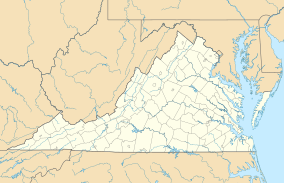 This Charles City County, Virginia state location article is a stub. You can help Wikipedia by expanding it.